The Power of Peace. 30 Day Challenge. Join 555 participants May 1st. Peace is powerful. It changes everything. From a place of peace, we’re free from self-doubt, free from worry about what other people will think, and truly, absolutely confident in our ability to handle whatever comes our way. Able to listen deep, and act with purpose. One challenge per day arrives via email: Exercises, intentions, activities for you to do. 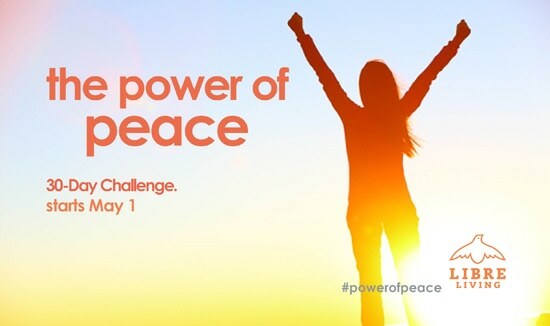 All to ignite the power of peace in you. Wisdom from spiritual teachers, and cutting-edge science. Infused by The Dalai Lama, Buddha, Taoists, the Vedas, positive psychologists. Soul guidance. Life tools. More…straight to your inbox. Starts May 1. Don’t miss out on the early-bird rate.